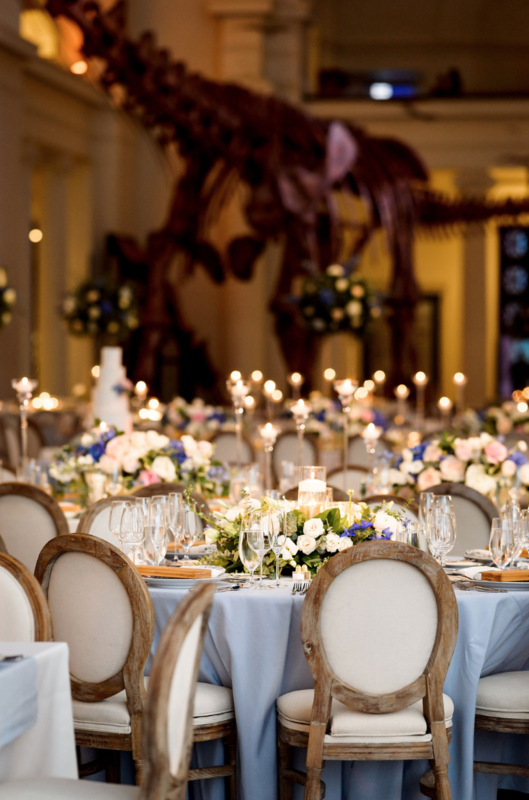 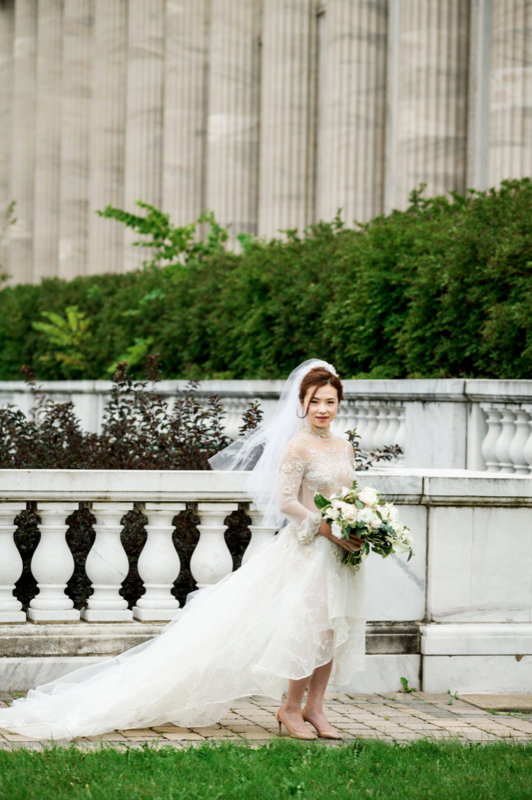 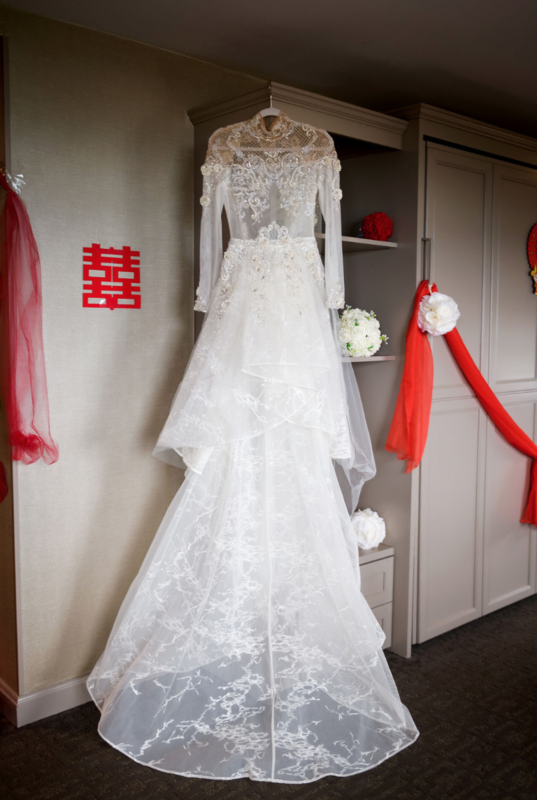 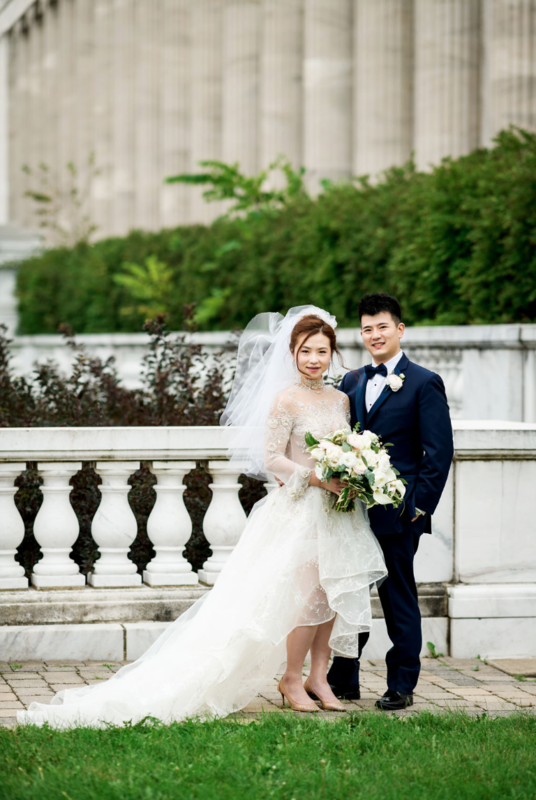 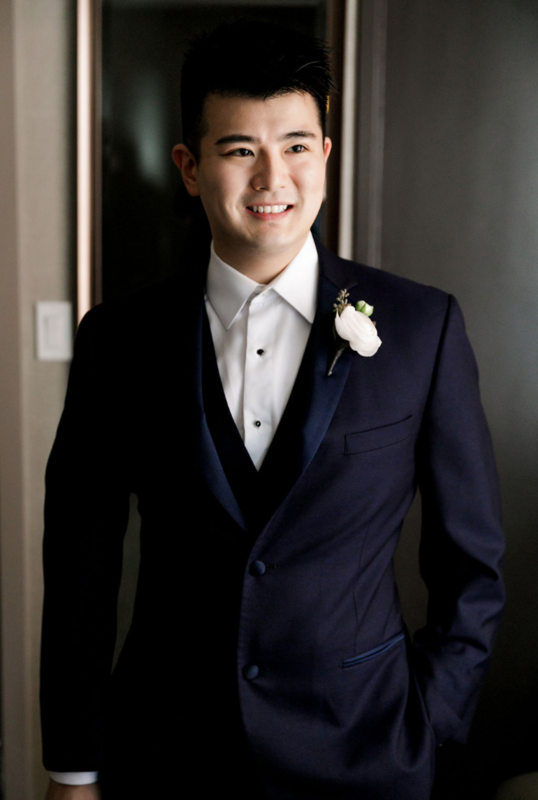 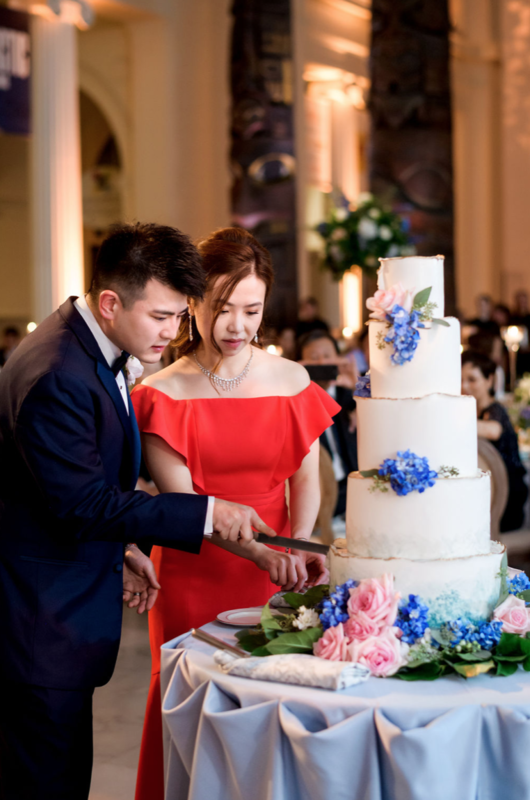 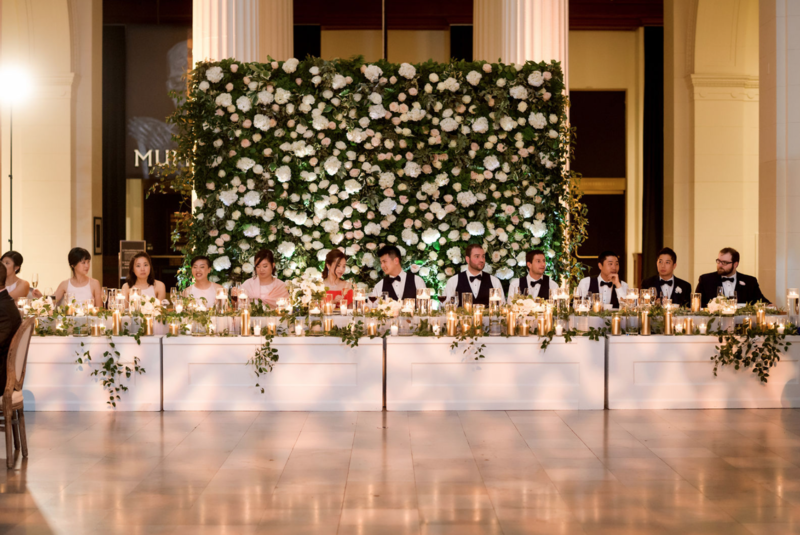 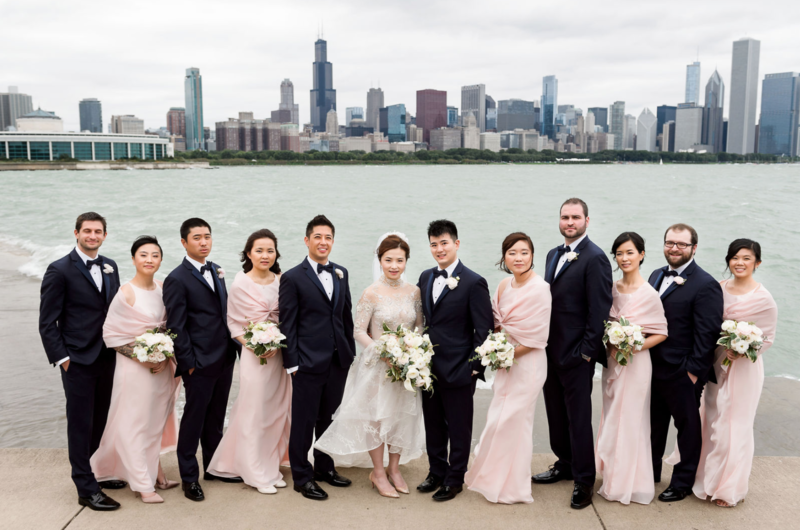 This ethereal wedding at the Field Museum was absolutely breathtaking, personal and reflective of both the bride’s Chinese culture and the groom’s Korean culture from start to finish. 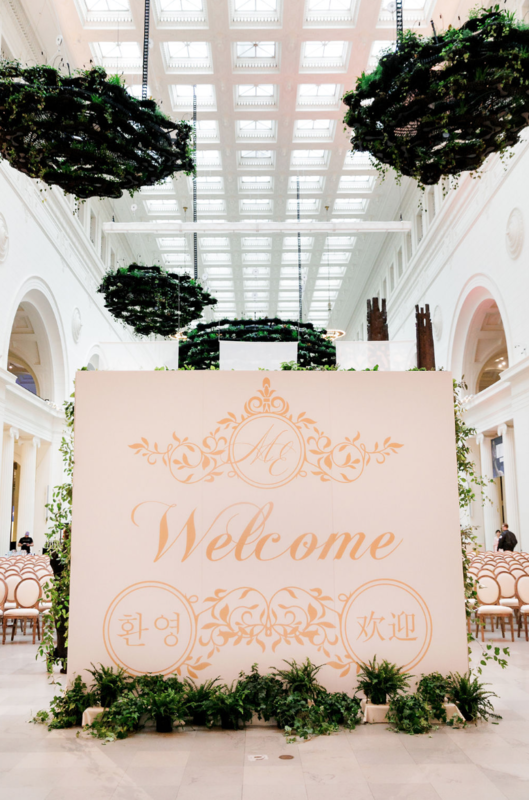 Guests entered the Field Museum, welcomed by a custom sign designed by HMR Designs with welcome messages in both English, Chinese and Korean. 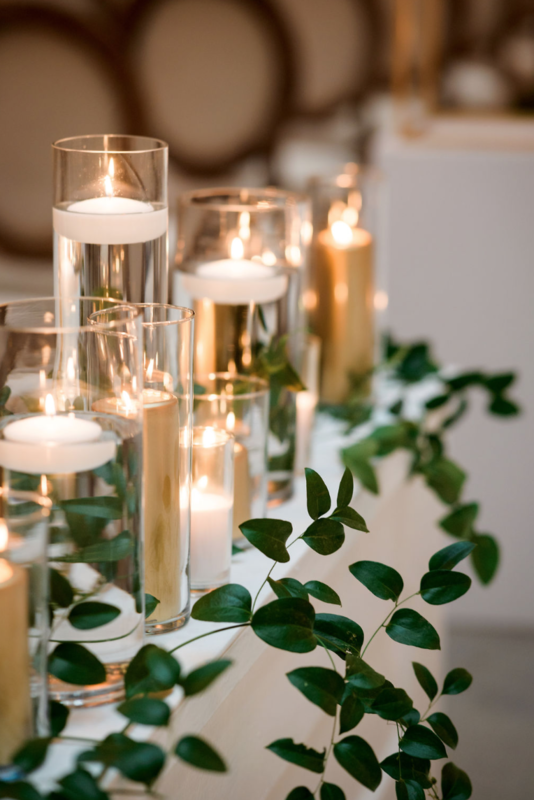 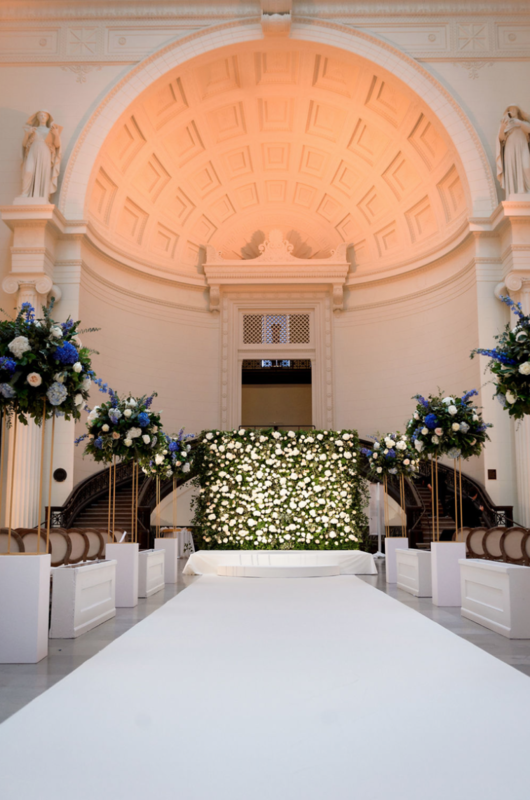 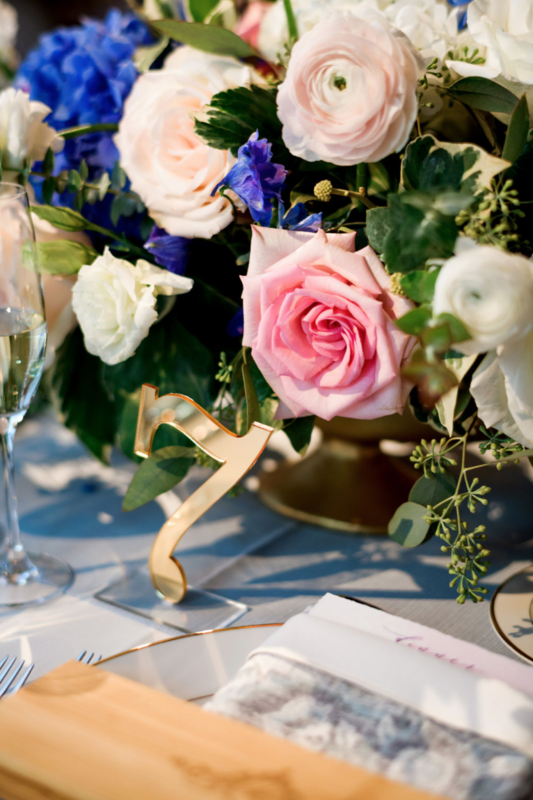 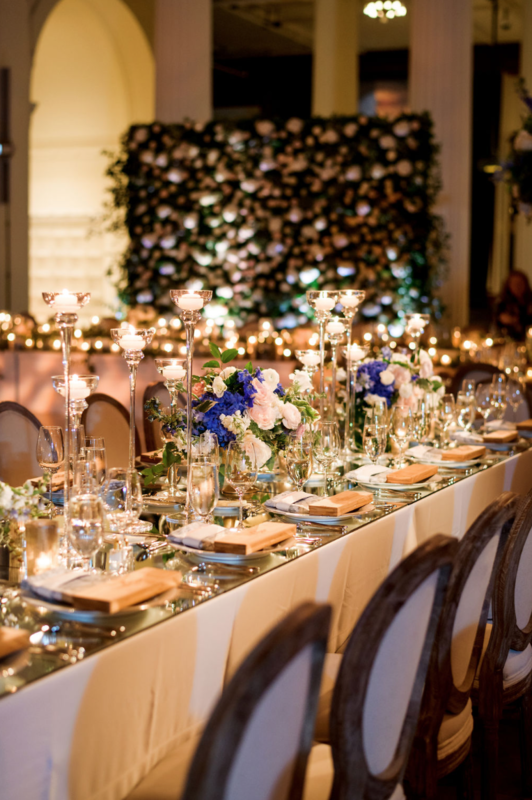 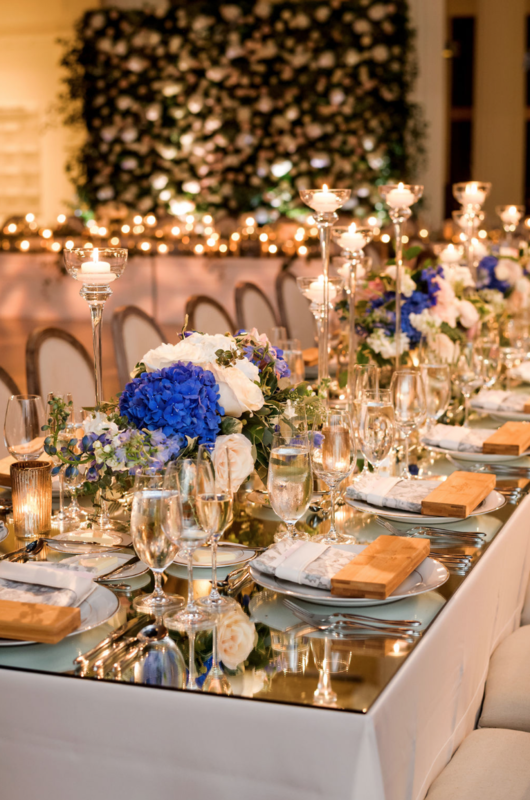 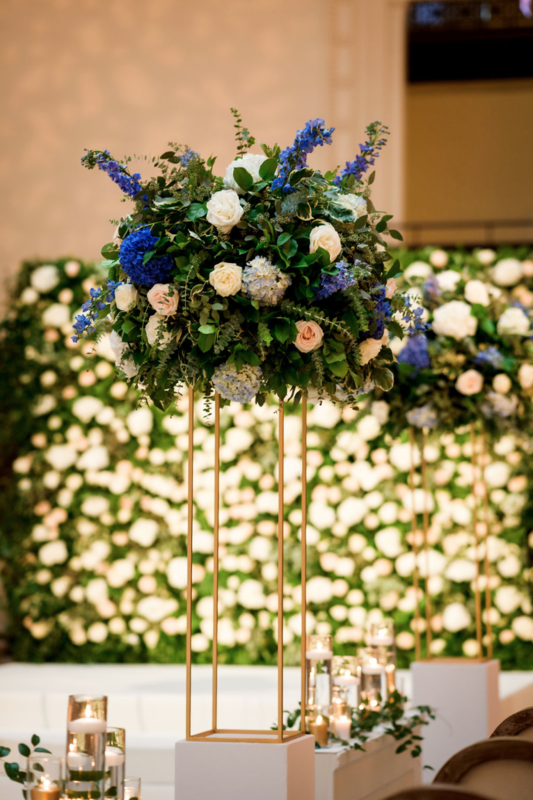 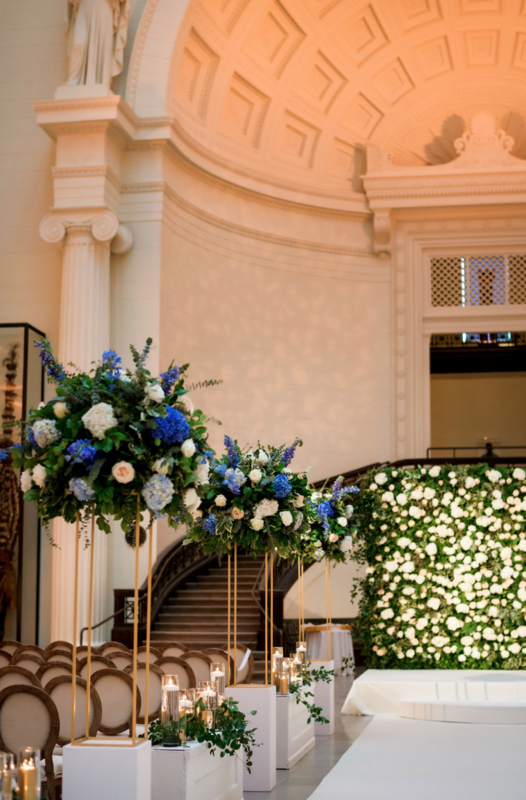 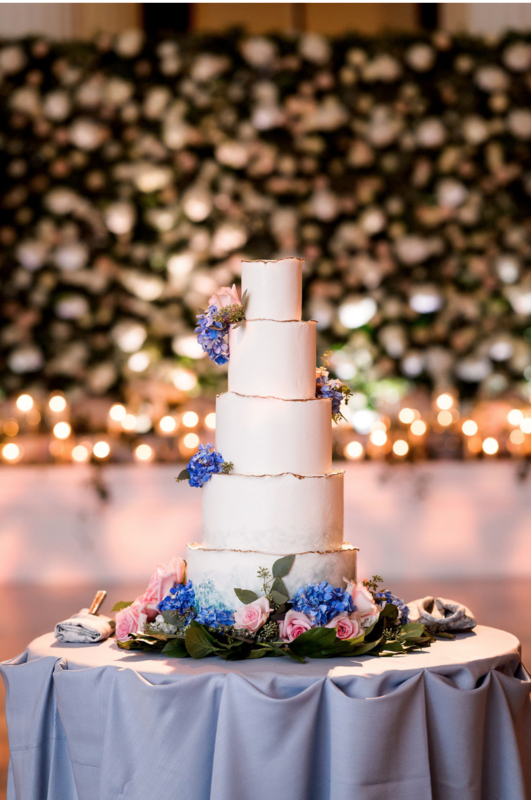 The ceremony was a stunning, water lily inspired set-up featuring blush and gold tones with strong pops of blue to truly bring depth and dimension. 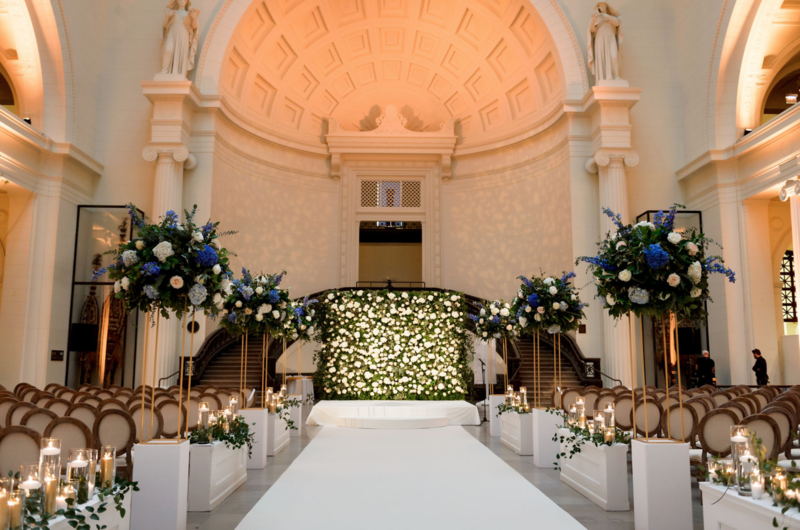 The soundtrack of the ceremony was a set of classics played by the string quartet, Wellington Strings. 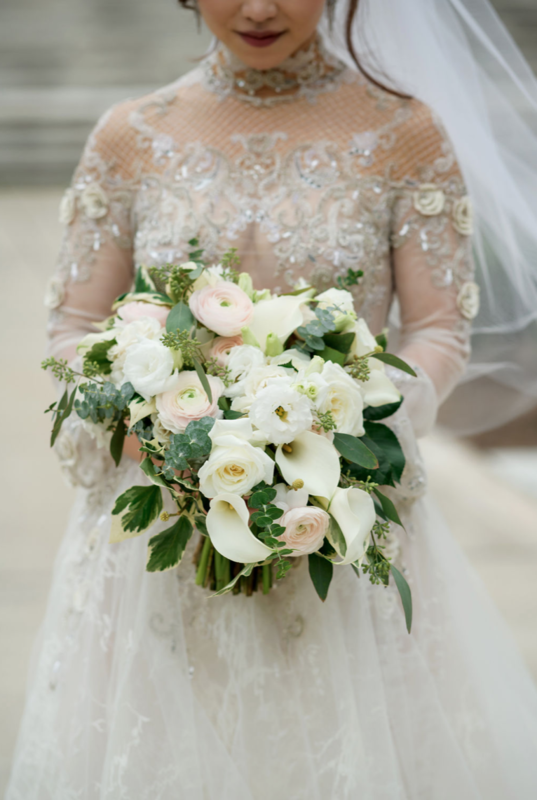 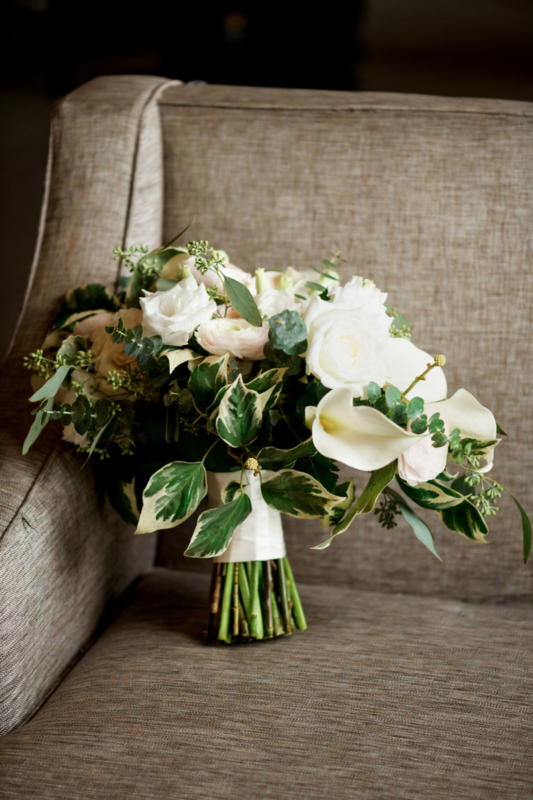 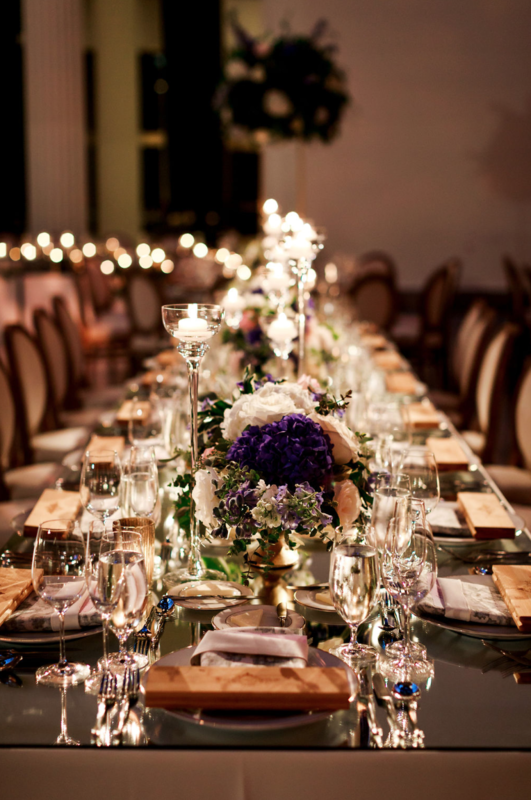 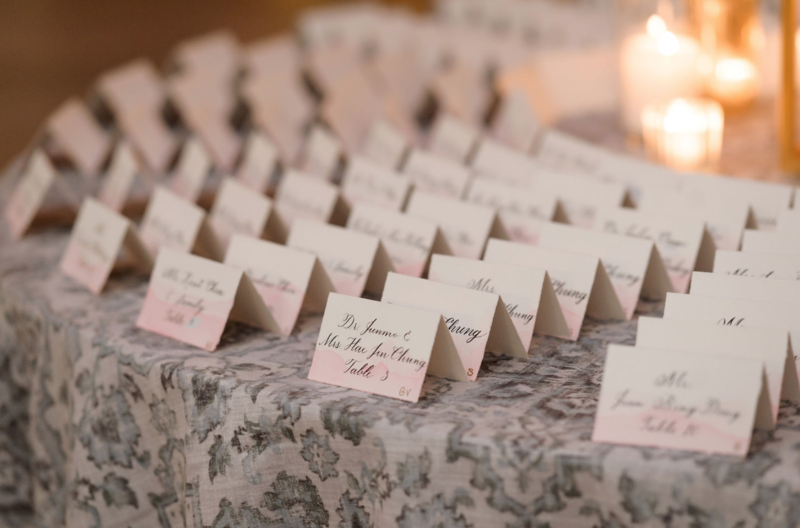 The bride’s couture Inbal Dror gown was the perfect topper to an amazing ceremony display. 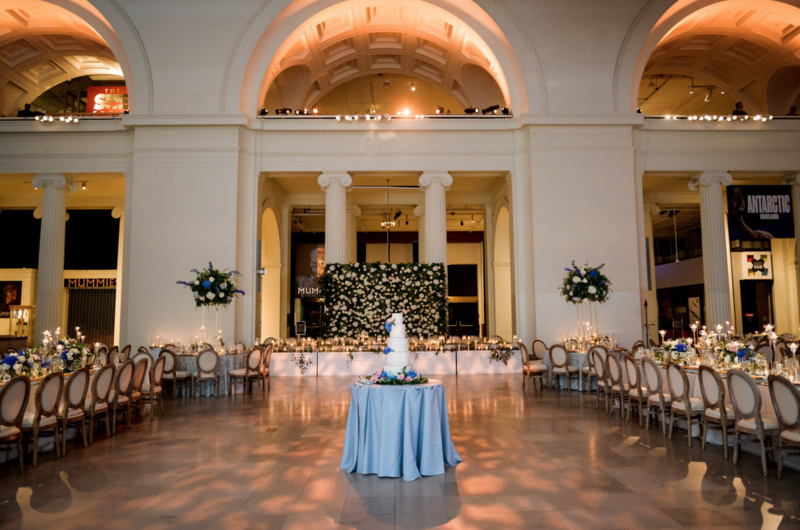 After the ceremony, the guest’s made their way upstairs to explore the exhibits the Field Museum has to offer while being treated to delectable bites and cocktails passed by Blue Plate Catering. 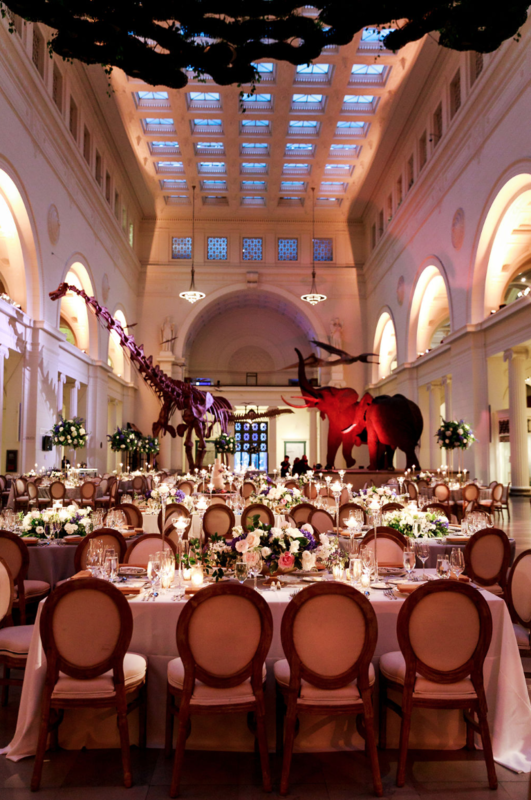 As guests cocktailed in the exhibits,the final details were put into place in the receptionbelow their feet. 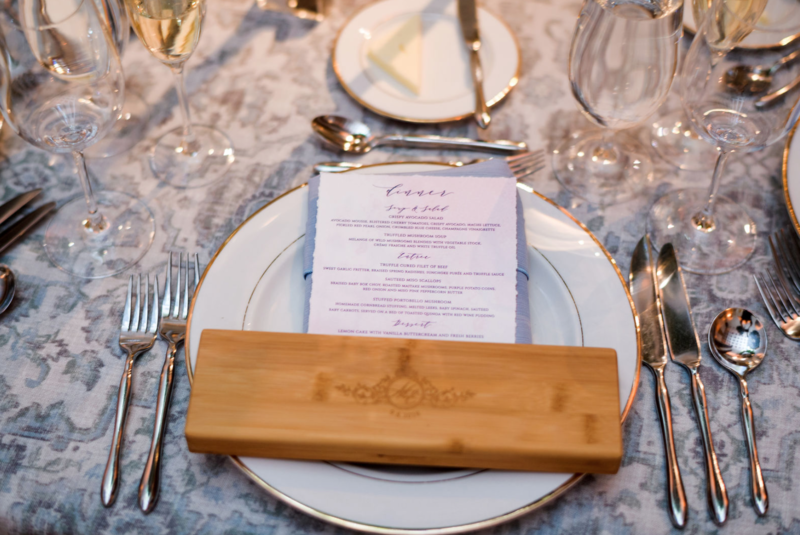 Ethereal florals from HMR were set atop a multitude of tabletop designs featuring mirrors reflecting glimmering candlelight and watercolor inspired table linensfrom BBJLinen, and each guest’s place setting was finished off with a custom wooden box featuring two sets of chopsticks, a gesture taken in Chinese culture to represent the couple giving happiness to their guests.To top it all off, the entire Stanley Field Hall of the Field Museum was absolutely glowing due to the precise lighting providing by Frost Chicago.